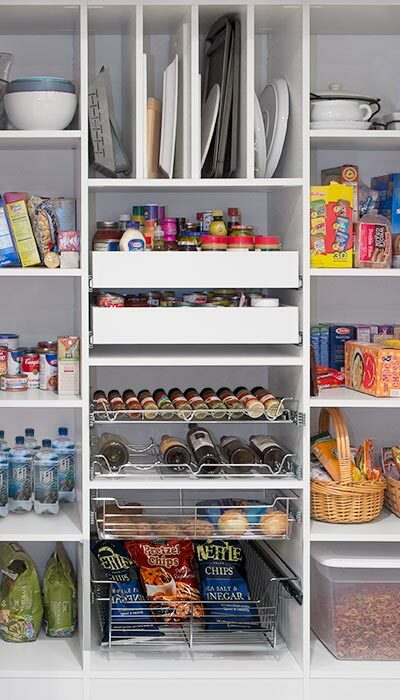 Closet Works increased the amount of storage for this pantry closet by implementing an improved pantry shelving system that includes the use of several types of pull-out pantry shelves and pantry closet organizer systems. 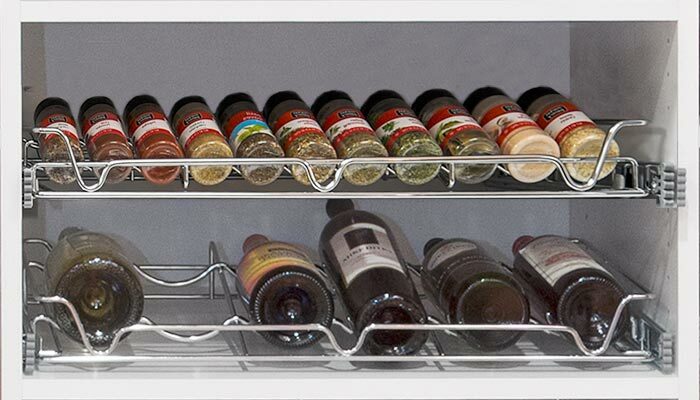 The center pull-out pantry shelves are great for organizing bottles, cans and all the "singles" where every item is different and you need to be able to see what is behind a particular jar. 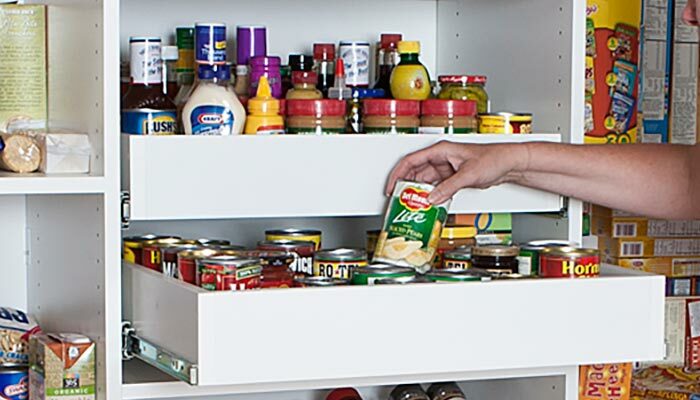 Just pull-out the pantry shelf and items previously hidden are in view and accessible. 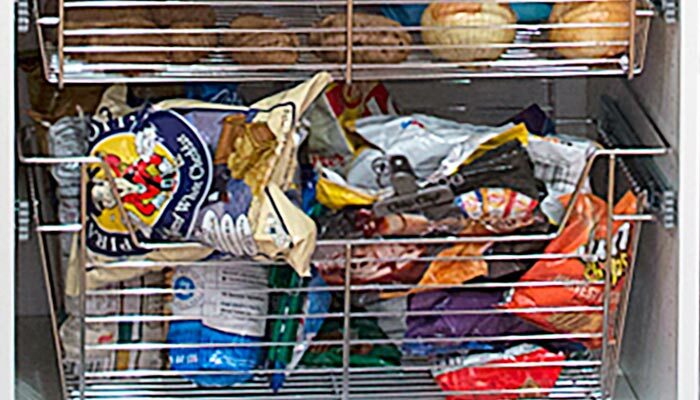 The additional wire baskets, a special type of pull-out pantry shelving, are great for root vegetables or bags of delicate chips that you that you want to prevent from turning to crumbs before snack time. This custom pantry shelving project for a Chicago area kitchen has storage shelves of various heights to organize different sized food packages, a vertical organizer to store oversize trays and cutting boards and several wire pull out organizers for spices, wine and baskets for larger items. 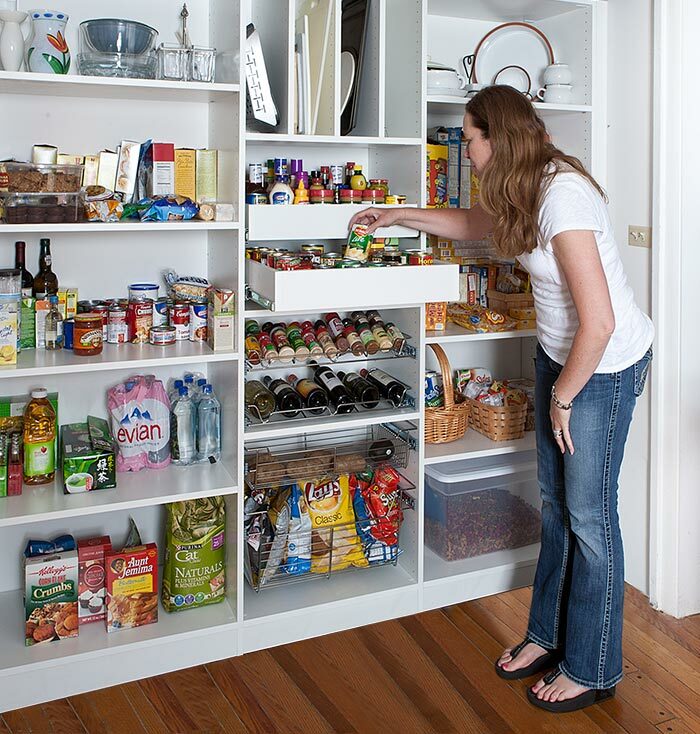 This closet also includes a pantry pull out shelf system to hold bottles, cans and small items. At Closet Works, we make all our closet pieces, including pantry components, locally in Elmhurst IL of the highest quality materials and workmanship.